During the home inspection process, a good home inspector will look at everything on both the inside and outside of a house. From the plumbing and electrical systems to the foundation, home inspectors are tasked with checking every nook and cranny to uncover any potential hidden issues with a home. As part of this inspection, inspectors will also look for a number of issues that might not be visible – even with infrared imaging. Specifically, we look for the presence of invisible threats like asbestos, lead and natural gas leaks – three fairly common hazards in Canadian homes that can be present in a home without the owner having any idea, according to the Practical Conservation Guide for Heritage Properties. Let’s take a closer look at each of these issues and why it’s important for a home inspector to look out for them. Asbestos is a term that refers to a range of fibrous minerals that were used to create building products several decades ago. At the time, asbestos was praised for its versatility, convenience and affordability. However, science has since shown that asbestos can be seriously harmful when inhaled. 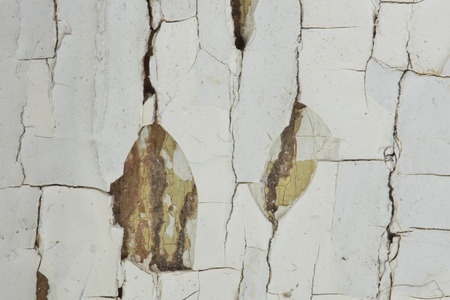 While the material hasn’t been used in common construction practices since the 1980s, some older homes may still have materials containing asbestos present. If a home has asbestos in tiles, insulation or other building materials, they generally will not pose a health risk unless they are disturbed. That means if you’re planning any construction work, asbestos fibers in these materials could become airborne and pose a risk to you and your family. During a home inspection, your inspector can look for signs of materials containing asbestos and advise you to take care or seek further testing to confirm the presence of asbestos. Since this substance is hazardous, you may need the services of a professional abatement service to handle removal if you’re planning a future remodeling or renovation project. Lead is a poison that can lead to high blood pressure and peripheral vascular disease, and even cause brain development issues in children, which is why pregnant women and kids need to be particularly careful around it. Canadian homes that were built before 1978 may contain lead paint, and homes that had plumbing installed before 1990 may contain it, too. It can also be present in water and soil – particularly if your property borders a highway or industrial facility. Lead, like asbestos, is not obvious to the naked eye, and what you may think is a simply painted wall or standard plumbing fixture could in fact be exposing you and your family to lead. As part of an inspection, your inspector will examine pipes, fixtures and other plumbing in the home and look for any signs of lead. Lead pipes are nonmagnetic, for instance, yet silver in appearance, unlike copper piping. If an inspector suspects lead plumbing, further testing may be recommended to confirm the pipes are lead before investing in a replacement solution. Natural gas is a pretty common fuel source for homes. Whether it’s used for the furnace, water heater, dryer, range and stove or anything else, natural gas is affordable and efficient – which is what makes it so popular. However, if there are any problems with the installation, there could be an invisible threat entering your home – carbon monoxide. As natural gas burns, it emits carbon monoxide gas as a byproduct. In most instances, this isn’t a concern as the fumes are ventilated out through ductwork and chimneys. If this ductwork isn’t properly lined, however, it could be allowing fumes into your home. If the exhaust is vented along a cold wall, the natural gas exhaust could condense, creating acidic residues that can eat away at chimney walls. In addition, if the vents aren’t installed at a proper angle, gases can move too slowly through the ducts, allowing faster-than-normal corrosion that can eat a hole in ducts and allow fumes to vent inside. A professional inspector will check ductwork and chimneys during a home inspection and alert you to any issues that could pose health hazards to you and your family. As you can see, there are all kinds of health risks that can come along with exposure to asbestos, lead or natural gas. So before you buy a home, make sure you have a home inspector inspect it for these and other concerns. Accurate Home Inspection can provide you comprehensive home inspection services for your prospective purchase or existing property. Call us at 403-826-6111 today to schedule an appointment with an inspector.